Can they have a future if they’re Surrounded by their pasts? 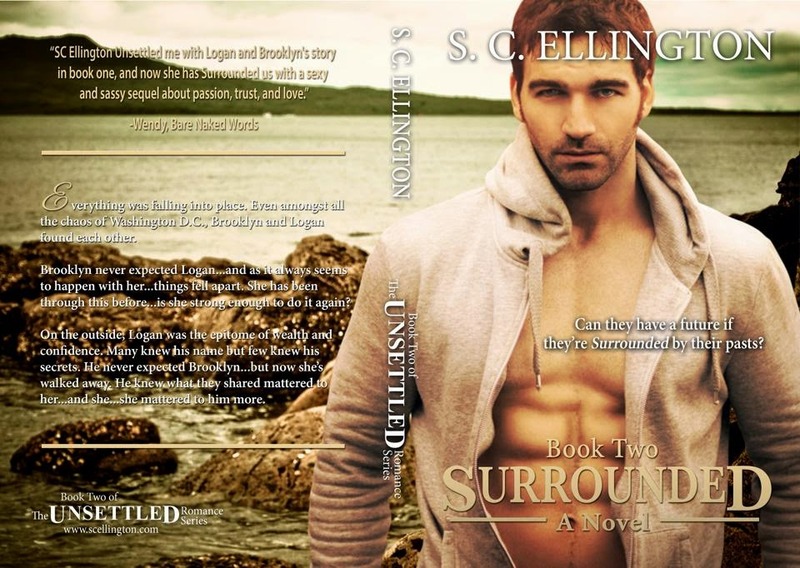 At the end of Unsettled we were left not knowing the truth, Brooklyn was yet again broken, crushed by lies and deceit, how was she ever going to move on with her life. At the start of Surrounded we get inside Logan’s head, a glimpse into his tragic past and how he surrounds himself in the guilt of his memories. So two broken souls, carrying guilt, betrayal and mistrust around with them, a recipe for disaster you would think. But as the story unfolds, SC Ellington works her magic and brings Logan and Brooklyn hope for the future. Can Logan make Brooklyn trust him again? Ms Ellington has a talent for weaving humour through her stories, and Surrounded is no different, I love the banter between Logan and Brooklyn, their friends and family. The path to true love is not smooth, but this story takes us on Brooklyn and Logan’s journey, the ups and the downs and if you loved book 1 then book 2 will be perfect, it will give you everything you want for them and more. Thank you to SC Ellington for Unsettling us with book 1 and Surrounding us with the perfect story in book 2. I’m a sucker for a love story and this one is just that.